FRAGMENTA is pleased to announce its start into an arty summer season with the upcoming exhibition CÔTE D’OR. This title refers to the famous Belgian chocolate and to the chocolate in Goele De Bruyn’s film “z.t. (the visitor) 2004” where a mouse eats its way through a chocolate Saint Nicholas. There can also be made an association with the promised land that’s in the sight of refugees, while crossing the Mediterranean Sea. This event will present works by Kris Van Dessel and Goele de Bruyn and take place in the public space of Valletta, at Lower Barrakka Gardens in Valletta. 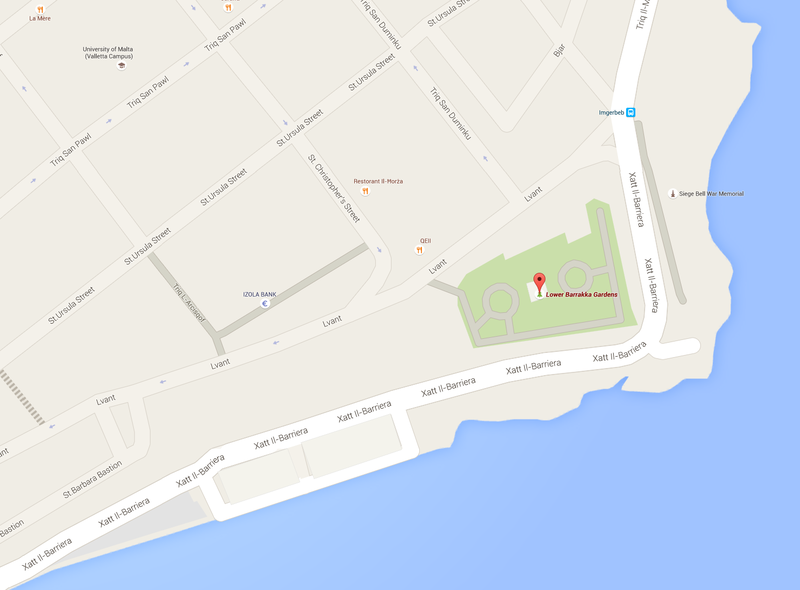 NB: LOCATION HAS CHANGED from Upper to Lower Barrakka Gardens. … Same Gardens, same Barrakka, same Harbour, only Lower not Upper. Côte d’Or refers to the famous Belgian chocolate and to the chocolate in Goele De Bruyn’s film “z.t. (the visitor) 2004” where a mouse eats its way through a chocolate Saint Nicholas. There can also be made an association with the promised land that’s in the sight of refugees, while crossing the Mediterranean Sea. The event is open to the public and free of charge. The artists will be present! FRAGMENTA : CÔTE D’OR will take place as a one-day event on May 16th, between 3pm and 9pm only.